The sequel to the BlackBerry KEYone, the KEY2, will be officially introduced on June 7th. BlackBerry Mobile, the subsidiary used by TCL to sell its licensed BlackBerry branded handsets, released the information via a tweet it disseminated today. 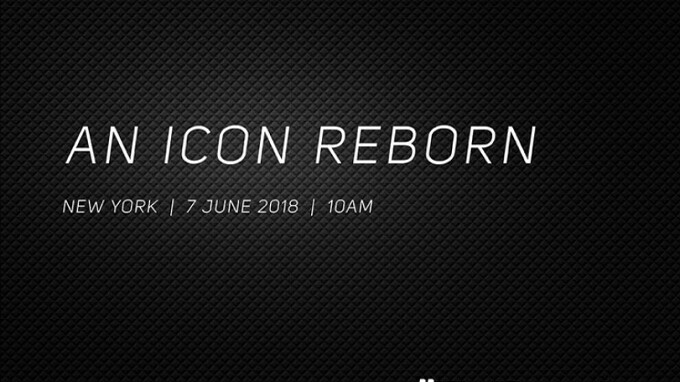 The tweet includes a teaser that reads, "An Icon Reborn." The unveiling will take place in New York at 10am on the aforementioned date. There were hints that the KEY2 would soon be announced. As we told you earlier this week, the handset had received certifications from the Wi-Fi Alliance and the Bluetooth SIG. And earlier today, we passed along some rumored specs for the KEY2. According to the speculation, the device will keep the 4.5-inch screen and 3:2 aspect ratio seen on the original. The phone will reportedly be powered by the Snapdragon 660 mobile platform; the sequel will have 6GB of RAM, twice the amount that came with the first generation KEYone. The outstanding battery life of the KEYone could be reduced a little on the KEY2. The upgraded chipset is one reason, and a smaller 3360mAh battery (down from 3505mAh) is the second reason. Pictures of the KEY2 seen on Chinese regulator TENAA's website show that the handset will sport a dual camera setup (12MP + 8MP? ), unlike the original model. The physical keyboard will have a matte finish instead of the glossy look seen on the KEYone. While the original model wasn't a huge seller, BlackBerry Mobile considered the phone a success as it was sold in 50 countries and offered by more than 110 carriers last year. It also made our list of the most underrated handsets of 2017. Awesome. One of the best smartphones released in 2017, the BlackBerry KEYᵒⁿᵉ, gets a sequel, and for all intents and purposes will be better than its predecessor. It’s sure TJ ne the best productivity based smartphone once released, taking that title from its predecessor. Improved SoC, dual camera, more RAM, and that iconic physical keyboard....can’t wait for this to be released. By having a more efficient processor and better RAM management you negate the reduction in battery size allowing the designers to maximize the available footprint. That's not stupidity, that's smart engineering. Actually that's stupidity. Snapdragon 660, as we all know and also mentioned in the article, is (way) more power hungry than the former 625, which is known to be very efficient. And is very likely that 6GB of RAM take up way more power than the former 3GB. Battery life should be the highest priority item for business phones, and should increase from generation to generation, not stay the same or decrease. Given BlackBerry’s track record with power optimization, and the power efficiency of the SD 6xx series, I can say with almost absolute certainty that the KEY2 will either match or beat the battery life of the KEYᵒⁿᵉ. Even if it just matches it, will still be better than the current crop of flagships today. The iPhone 8 Plus has less battery capacity than the iPhone X, and yet, the 8 Plus puts out better battery life. Optimization is key. Kinda turned that point that you thought you were making on its head, lol. I didn't want to go there because his head might explode but I was thinking the same thing. We don’t know what the price is, so how can you say that? First of all, those in the market for a BlackBerry are a completely different type of customer than the average consumer. If BlackBerry Mobile overcharges their customers, and they are often less expensive than other smartphone makers, then what are the others doing? $1000 Smartphone’s aren’t too much? Your hypocrisy is showing. Price has always been the one consistent negative point for BlackBerry devices. As usual though certain people are making excuses for that just like when blackberry started becoming a patent troll. I enjoyed my keyone pretty much, one of the best bb handset. Stunning battery life. As usual, people are taking anoint price as a negative point when they don’t even understand the costs of making a BlackBerry smartphone, and they are still much cheaper compared to other flagships than cost $800 or more and have so many bugs that you need to call pest control to take care of it, but they make excuses for them because they claim to use their smartphones, but can’t provide proof of that. As usual, people try deny that blackberry devices have a unreasonably high price point, not anoint, to the point of making excuses. You can get an S8, a perfectly good high end smartphone from last year at the same price the KeyONE successor will be. Same thing with the Pixel, which unlike some people think, are very good phones that are far more capable than most of the phones out today. I don't make excuses for anything unlike some people do with blackberry like when they became patent trolls. And yet, here you are making excuses, lol. As usual, you are in denial about there being certain things that only BlackBerry devices provide, and better than the rest, like the iconic physical keyboard and the security suite that BlackBerry provides. These things cost, and those that are in the market for a BlackBerry smartphone are well aware of it, unlike people like you. And for the high price that you say BlackBerry smartphones cost, they are still much cheaper and have less issues than the issue prone, bug ridden Pixel line that you keep making excuses for, even though you don’t own one because you can never provide proof that you do. I’ve provided proof of ownership of my smartphones. You don’t, because you don’t own what you claim to. You’ve made a myriad of excuses for the Pixel line and the plethora of issues that it’s had, and still has, and you don’t even own a Pixel to begin with. So what? You think blackberry is the only ones who offer certain things not found elsewhere? Better than the rest is entirely opinion. Those things don't cost anymore than others found elsewhere. You're just making excuses. Look at the DTEK phones. They were rebranded Alcatel Idol phones slapped with the BlackBerry logo. Spare me the excuse because you're just paying for the name. And funny how you keep talking about the Pixel being bug ridden, yet you have never used one yourself. You are clearly being a hypocrite. As for me proving something to you, what do I have to gain by proving anything to the likes of you? I don't have to prove anything to you. You are full of crap. You talk about issues left and right, yet you claim to own an iPhone 8 Plus.